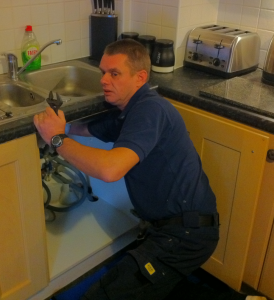 When you’re dealing with ADI you’re dealing with the very best plumbers in the Surrey area because you’re hiring the services of a team of very highly trained and very highly experienced plumbers who have decades of practical experience in all areas of the plumbing trade. This procedure involves a jet of high velocity water being fed through your plumbing to wash away all the dirt and gunk that, no doubt, has built up over the years inside both your radiators and the pipes for your central heating system. Keeping your heating system free of blockages will allow you to extend the lifespan of your heating system by several years. Our leak detection equipment allows us to find the exact location of your leak to within a few centimetres of the source. This means that when we have to fix the leak we can do so in the most efficient manner possible. So why not call our customer service team now on 0800 731 3848 and have a quick chat with one of our friendly team about how we can help you today?